It’s safety first for this Australian company! 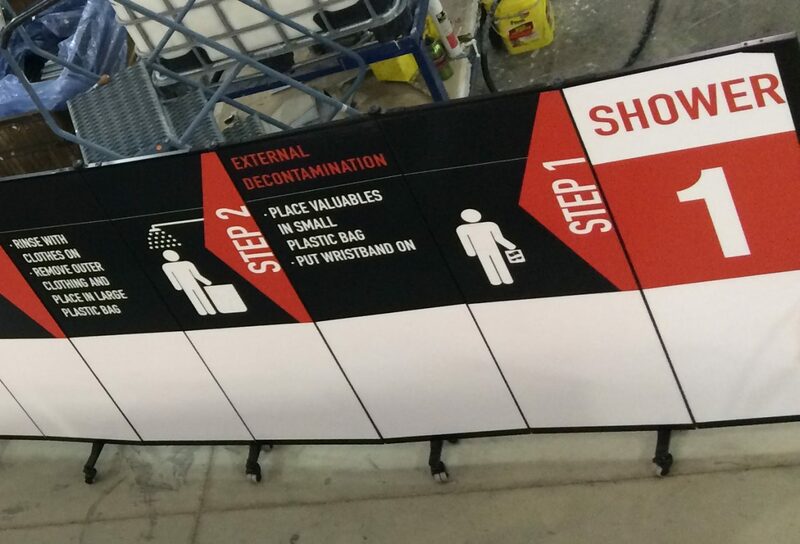 In response to the need for portable safety procedures walls, the Screenflex design team created a colored mural that explains each safety station. The safety steps are clearly marked by a different color on the dividers. Arrows direct the employees on where to proceed. Most of all, each divider rolls on self-leveling caster wheels making them easy to set up anywhere and at a moments notice. Just roll the divider into place, open the accordion style walls and lock the end casters to secure the divider into place. Additionally, when the units are not in use they store in 2’x3′ space. 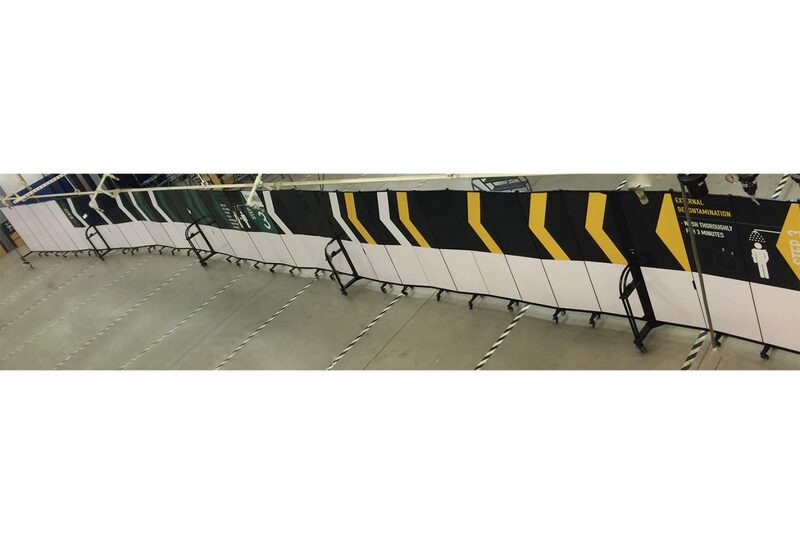 For your convenience, murals can be placed on all 36 sizes Screenflex Dividers and 8 vinyl colors.